Nov 7 AI War 2 Early Access Preview. The Grand RTS! The Real Time Strategy genre has seen better days. Once a mainstay of the PC platform, now, it is left only to intrepid indie devs to attempt fresh takes on the genre. The first AI War released back in 2009, was an attempt to try to combine ideas from other strategy sub-genres to resuscitate an RTS genre that was stagnant. And it was a sleeper hit that was a darling for PC game reviewers that applauded its innovative mix of gameplay mechanics to offer something truly unique not seen in ages. AI War was also the most successful title for the devs, Arcen Games who then went on to make other unique titles in other genres. So it was no surprise that Chris Park, from Arcen Games decided to work on AI War 2. The main objective was to move to a modern 3D engine that also allowed for a much bigger game without the limitations the old engine had. Where AI War 2 differentiates itself from other RTS games is in its layers of gameplay mechanics that was inspired from other strategy sub-genres. The strategic layer of inter-connected planets while not completely a first (it’s been done in Sins of a Solar Empire), adds grand strategy depth to the game. Every sector is a tactical decision, which leads up to the bigger decision of which direction do you want to expand. Your main objective is to take down the AI. Somewhere in the galaxy, is an AI command station. Take that down and you’ve defeated the mighty AI. Getting to the sector with the command station is another matter. The harder and faster your push your offensive maneuvers on the AI, the harder the AI pushes back against you. The strategic layer could do with a lot more information and real time feedback on fleet movement. This AI Progress counter is the central mechanic in AI War 2. here are ways for you to bring down this number but your options here are limited. You really want to make sure you’ve got adequate defenses before you go in hard on the AI. While the premise of playing against the AI might sound like you’re up against a boring opponent, in truth, the AI shows more personality than lots of other factions in RTS. At times the AI will seek vengeance, doing a quick counter-attack after your failed attack on their worlds.There is a chance the AI will send a hunter fleet that will hunt down the human fleet that decimated their world. In many occasions, the AI will reinforce sector that come under attack, providing support to the world and hopefully pushing back your attack. And with the ability to tweak the AI to be as easy or as difficult as you want, with unique personalities, it’s never boring playing against the AI. AI War 2 still has some way to go with more work needed in the User Interface, Custom Start options, multiplayer modes (multiplayer isn’t in the current build yet) and new interesting neutral factions. Controls and feedback in the strategic view needs improvement. I’ve accidentally sent entire fleets to distant sector when I just wanted to send a scout over there. It doesn’t visually show units moving through the sectors. 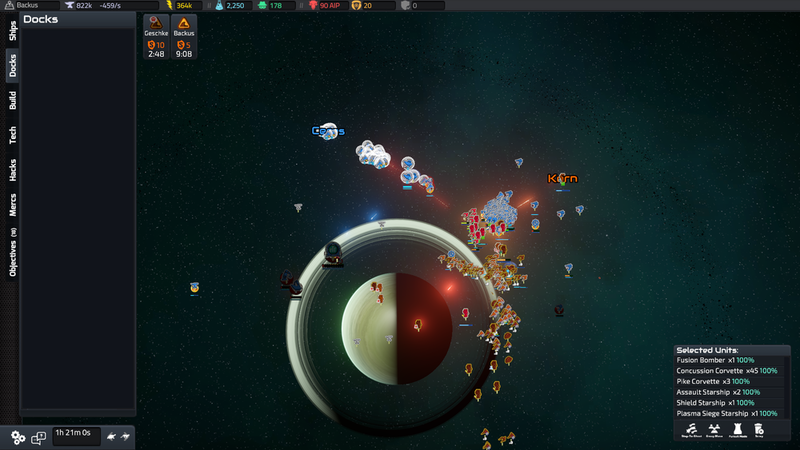 Creating massive fleets and moving them to attack the AI fleet is as satisfying as ever. There’s not much micro here, but still just enough of strategising needed on where to focus your attacks. If these can be rectified, then AI War 2 could be much bigger than the first game with may more variety in terms of content and faction. There’s already a lot to like in the current early access build if you’re a fan. But without multiplayer in, it’s just not quite ready if you want to have some co-op fun. Clearly the beta that game is in right now is an important stage to get the mechanics right. 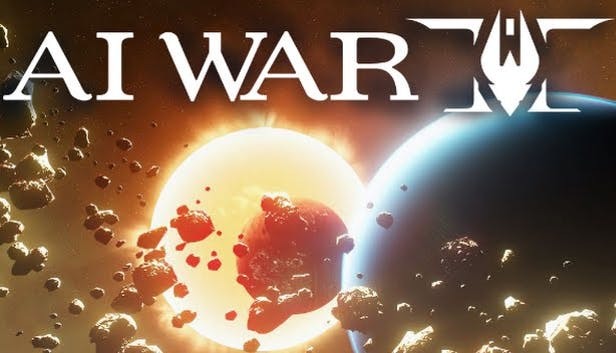 If you want to be part of the development of AI War 2 and would like to see the promise of what the final game could deliver, the early access offers you just that. Keep an ye out on AI War 2. It’s looking to be something special. I’ll be following the development of it and updating you on how it’s coming along. DISCLAIMER: This post includes a Humble Store affiliate link. If you make a purchase from the link, we make a small commission that goes to the maintenance of this site.